Whisk the oil and sugar together in a large bowl. Add the soya milk and the molasses and whisk all together. Sieve the flours, spices and baking powder, salt and bicarbonate of soda in to the wet ingredients and mix until it forms a dough. The dough may seem quite moist. You want it to be workable but not so sticky that you can’t lift it. Add a bit more flour if it is too wet. Wrap in cling film and leave in the fridge to chill for an hour if you can (the dough can be left in the fridge for several days so you don’t have to use it all at once. It can also be frozen). Preheat the oven to 175 C and line a baking tray with greaseproof paper. Roll the dough out on a floured surface. It’s worth trying small amounts of dough at a time and be generous with the flour. It will stick a bit but don’t worry. You want it to be rolled out fairly thin but not too thin – maybe 5mm thick or so. 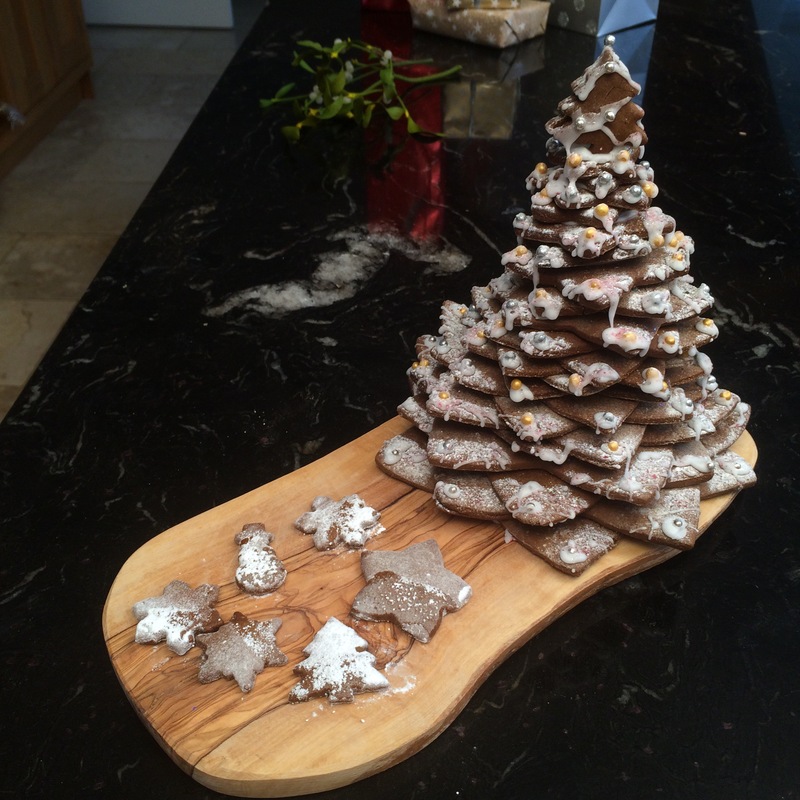 To make the tree you need star cutters of different sizes. If you don’t have them don’t fret. Draw some stars out on a piece of card and use them to draw around 🙂 If you want to make a massive tree then you could use more stars. You want at least 2 or 3 of each sized star. 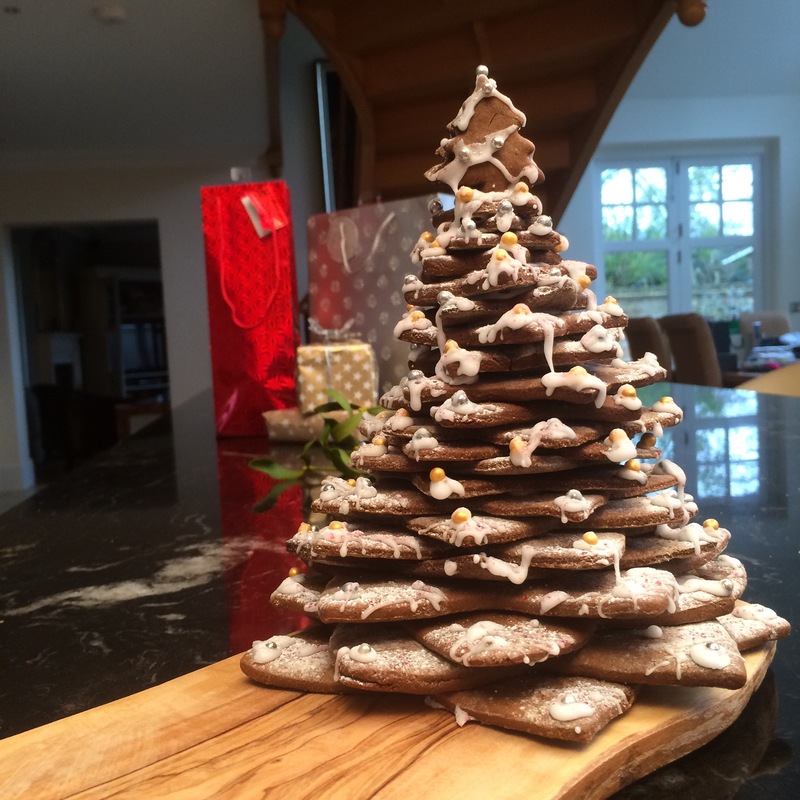 I used two tiny christmas tree shaped cutter for the very top, but you could use another star. Cut out the biscuits and transfer to the baking tray. Bake for 8 minutes. Then remove from the oven and allow to cool on the tray for 3 minutes before transferring to a wire rack. They will seem soft when they come out the oven but as they cool they harden. If you want super crispy biscuits just pop them back in the oven for another few minutes. Mix the icing sugar with the milk until it’s smooth. If the icing is too runny just add more icing sugar until you get the consistency you want. Transfer to a piping bag (if you don’t have one then use a plastic freezer bag and snip the corner off to pipe through). Start with your biggest star and place it on the plate. 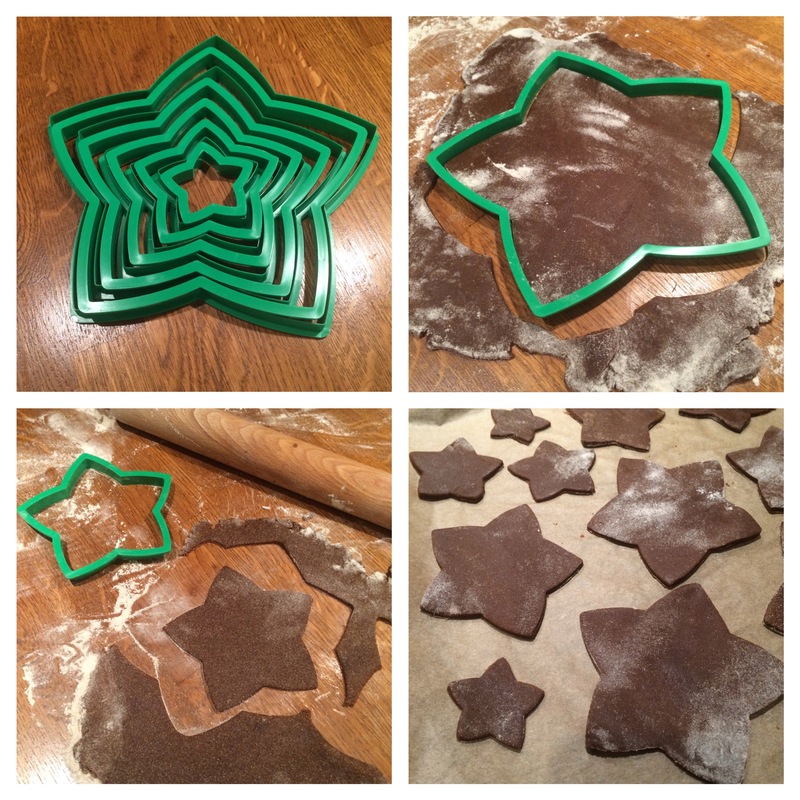 Add a glob of icing to the centre and stick the next star on top (arranged so the points don’t overlap). 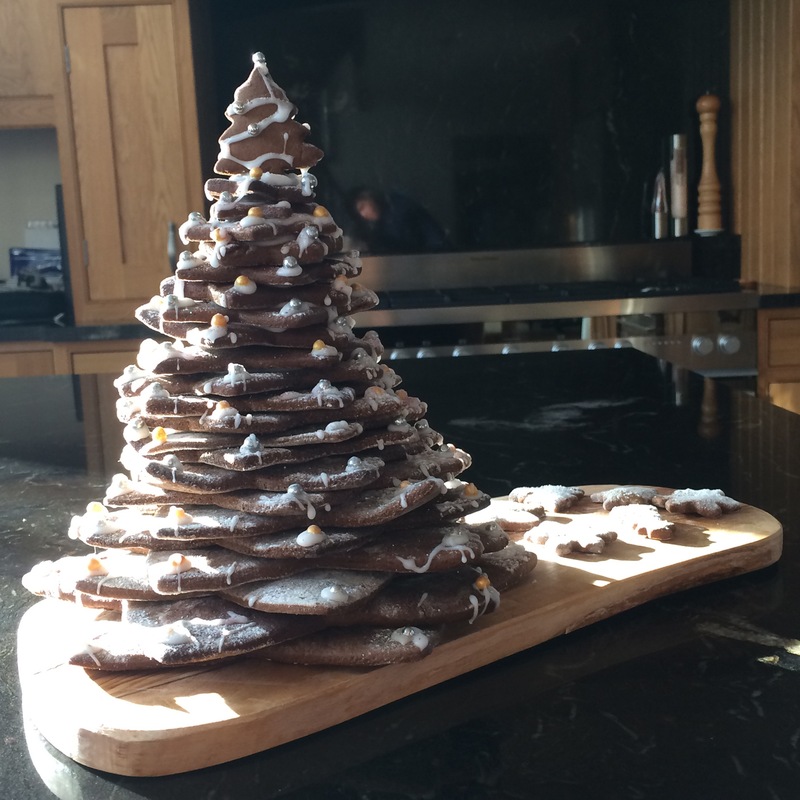 Then add a glob of icing to the top of the uppermost star and stick the next one one… continue, going down in size until you get to the top! 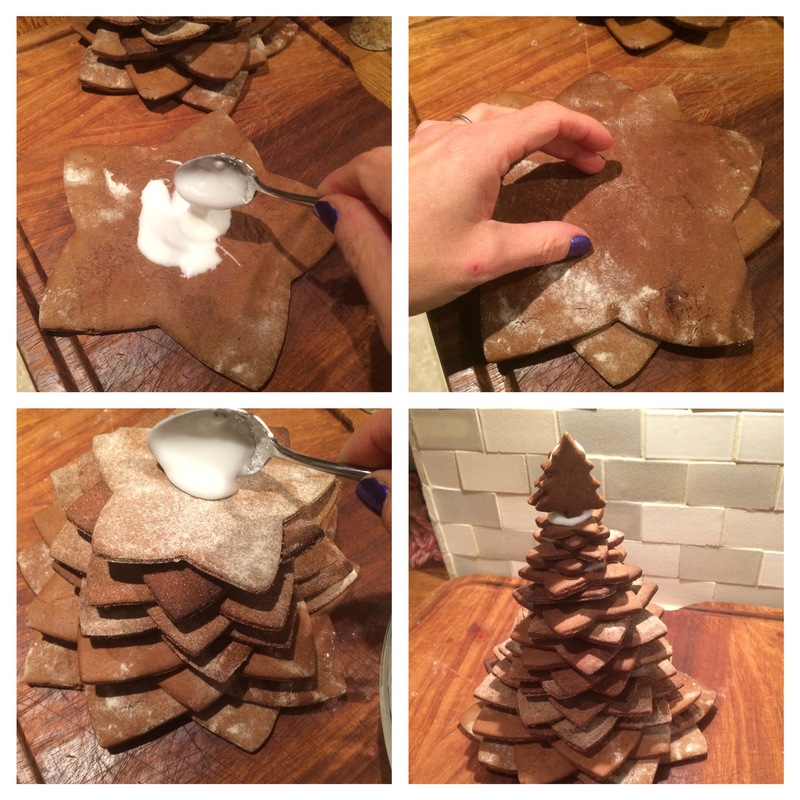 I then added a glob of icing and popped two tree shaped biscuits on the top. Now you can decorate each layer. Pipe icing on to the points of the bottom star and decorate with silver balls, gold balls, edible glitter etc. 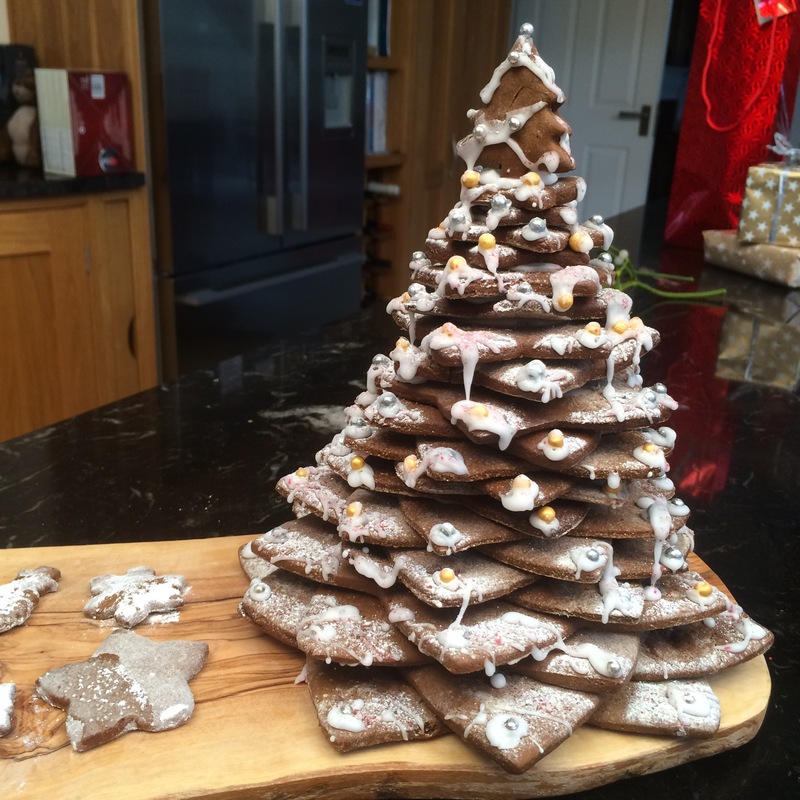 Finally dust with icing sugar so it’s all snowy-looking! Then you’re done! 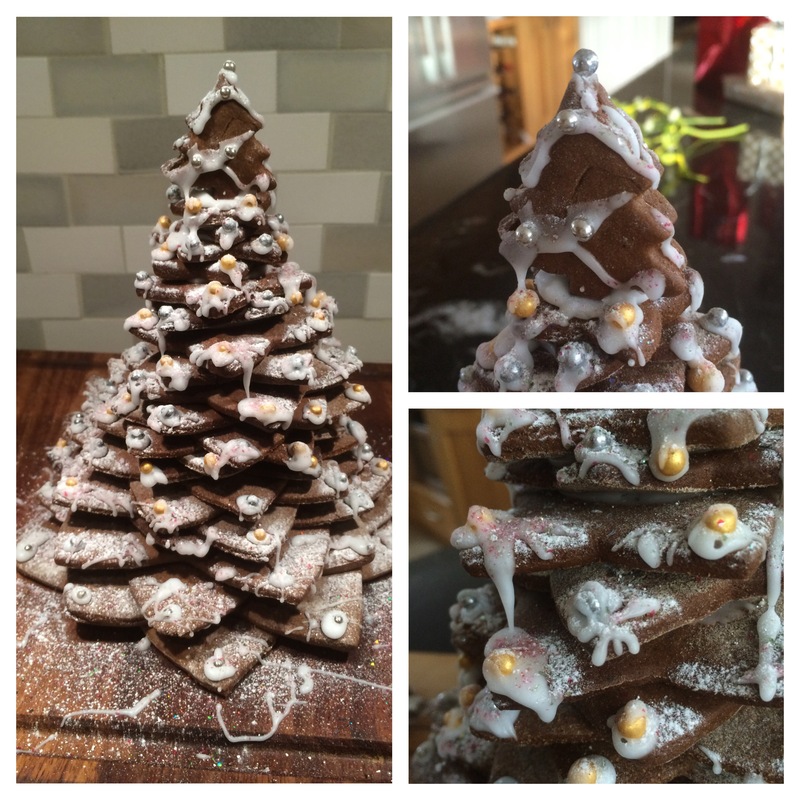 This entry was posted in biscuits, Christmas bakes, dairy free, Gift ideas, gluten free, treats, vegan and tagged christmas recipe, cookie, dairy free cookie, gingerbread, gluten-free cookie, vegan cookie, vegan gingerbread, vegan recipe by Dr Nancy P. Bookmark the permalink.